Japan’s biggest publishers have dug deep into their pockets to help assist those suffering in their home country. Nintendo and Sony have dug the deepest dishing out ¥300m (£2.26m) each while SEGA Sammy has given ¥200m (£1.5m). Thoughtfully, Sony has also supplied 30,000 radios. Namco Bandai has closed their arcades to help save power as well as donate a modest ¥100m (£760,000). 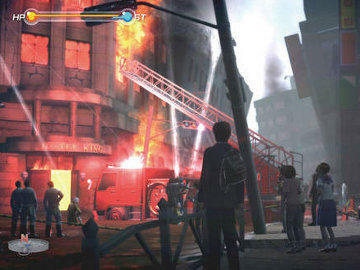 Also to help save energy Square-Enix and Konami have shut off many of their servers. Irem has canned their survival sim Disaster Report 4: Summer Memories (pictured) for PlayStation 3 too. You may know the series either as Raw Danger or SOS: Final Escape, depending on which country you live in. Outside of Japan, both Sony and Sega have decided to postpone two of their titles – Motorstorm: Apocalypse now as a release date of “TBA” in Europe while Sega’s Yakuza 4, which features a zombie outbreak and is set entirely in Japan, has been delayed.